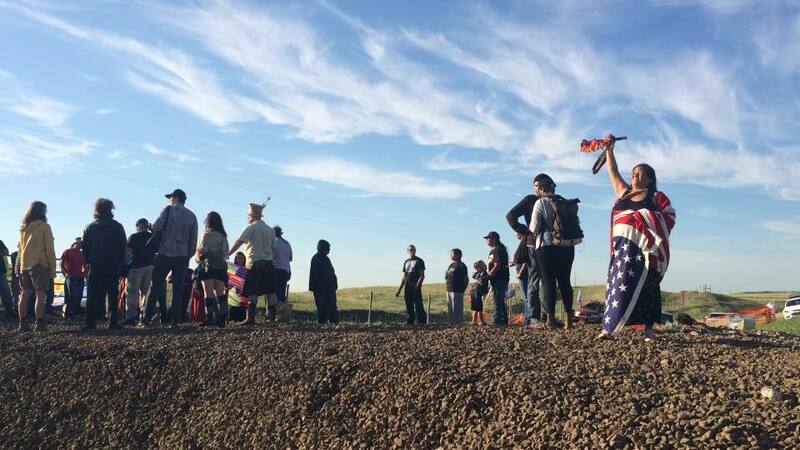 The women of Standing Rock do not call themselves protestors. They are protectors. In interview after interview, they explain that their fight is for the greater good. Standing Rock is their home, but Mother Earth is home to us all. Indigenous women willing to risk their lives to stop the Dakota Access oil pipeline construction that desecrated their ancient burial and prayer sites and threatens their land, water, and very existence. They are the brave survivors. Among them, the descendant of the female warrior who fought the U.S. Cavalry alongside Sitting Bull. The great-grandmother who was fired upon at Wounded Knee in 1973. The lifelong activist who became a part of the system in order to defeat it. They are the daughters and granddaughters of brave survivors. People who escaped genocide, only to be robbed of their lands and herded onto reservations. Children who were taken from their families and placed in non-Native boarding schools and foster homes where they suffered further abuse. Today, these women tell their own tragic stories. Stories ranging from forced sterilization to substandard medical care. Yet somehow the spirit of these women has not been broken. 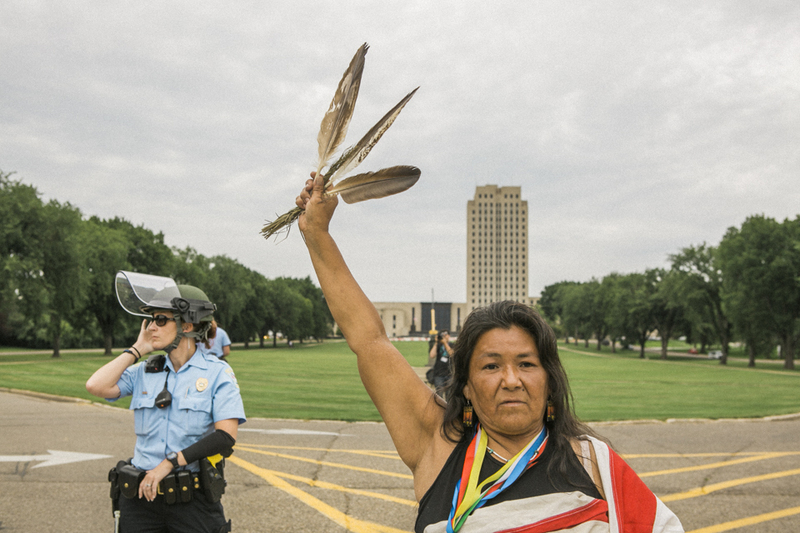 The women of Standing Rock vow to protect Mother Earth and all her inhabitants. It is their responsibility to the ancestors and to the seven generations to come. This is their last stand. 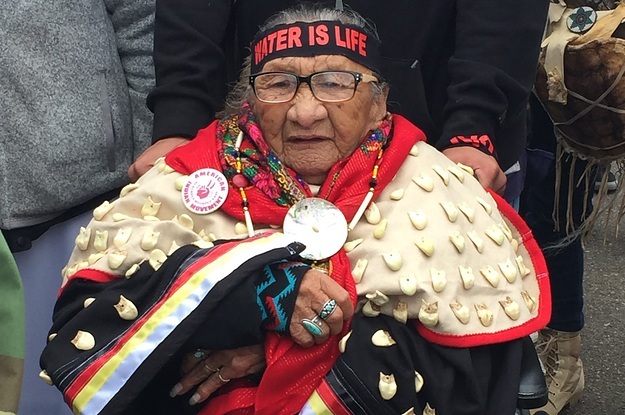 Responses to "The Women of Standing Rock Vow To Protect Mother Earth "
What amazing women! I too believe, so stand with you in prayer. Thank you for standing to protect mother earth and her resources of water for us and for future generations. You are heroines! Standing Rock, where will you Go? No matter who you count as your genetic ancestors, if you are an American these ancestors are your Godmothers. Look what a great gift they have protected for you and your children. Gvgeyu, Cherokee blood. "We shall never give up until all of us have joined hands and fall to the ground." Takatoka.